English followed by pronounciation in Malayalam language. Note that 'th' is like a hard 't' sound, yet softened by the 'h'. The Malayalam language is spoken by roughly 36 million, worldwide. Malayalam has its own calendar and many dates for festivals are fixed around this calendar. 3.21% of Indian people speak Malayalam as their native language. 96.7% of natives to Kerala speak Malayalam. Malayalam has official language status in the state of Kerala and the union territories of Lakshadweep and Mahe. The word 'Malayalam' in English is a palindrome, but is not in its own script. There are 13 regional dialects of Malayalam in south-west India. Ezhuthachan was a Malayalam poet and is considered the father of the Malayalam literature. There is a monument to him in Tirur, Kerala. Malayalam is a Dravidian language that is derived from ancient Tamil. Karintamil is the form of Malayalam existing between (roughly) 300 B.C. to 100 B.C. Between 100 B.C. and 300 A.D. Sanskrit had an increasing influence on old Malalayam, and a split from ancient Tamil is thought to hae occured around the 6th Century. The first Malayalam writing appears in the Vazhappally inscription dating from about 830 A.D.
By the 15th Century A.D. it is believed that Malayalam had established itself as a language separate from both Tamil and Sanskrit. The written form of Malayalam was required to change again in the 1960's and '70's so that its script could be compatibly used on keyboards and in printing. The word, Malayalam, is thought to have derived from mala, meaning mountain and alam meaning locality / land. The meaning most likely is 'people from the mountains' which probably referred to those from beyond the Western Ghats. Malayali refers to speakers of Malayalam who originate from the state of Kerala, and the identity in India is mainly a linguistic one. The definition of 'Malayali' is broadening, and is sometimes used to refer to Malayali emmigrants of Kerala that maintain the traditions of this area, though rarely use the language. One of the best ways to enjoy the culture and atmosphere of a place is to visit during a festival or fair. 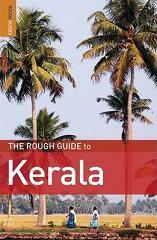 Have a look at our Kerala festivals guide to see what is happening throughout the year.